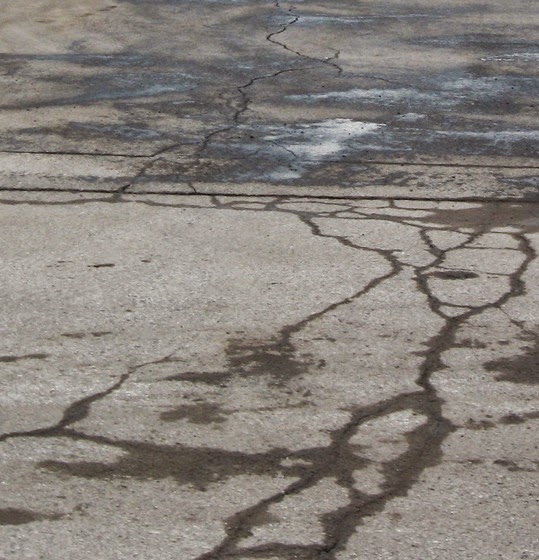 We have all concerned about shrinkage crack in concrete; why do shrinkage cracks occur and how do they do harm to concrete?-We have less idea. Here we like to provide an overall idea about shrinkage; in our upcoming post we will discuss this in microstructural point of view. You will be surprised that before applying any superimposed load or its self weight (while formwork is not removed) Strain arrived in concrete. This is due to changes in temperature and humidity in environment. The fresh concrete is cohesive and moist; when exposed under ambient humidity, the moisture is lost resulting drying shrinkage. This not the only causes of shrinkage strain but also there have another agent. This is heat, produced due to hydration of cement and when hot concrete element is cooled under ambient temperature, shrinkage also attributed. When a massive element (mass concrete) hydrated, a significant temperature rise is observed. The reason of rising temperature is poor dissipation process involved in this large member. Thus significant shrinkage occurs under cooling which is called thermal shrinkage. The above strains from any sources and reasons are considered detrimental when concrete member is restrained against movement, tensile stress is generated. The tensile stress in most case associated with cracks upon exceeding tensile strength of concrete. We know concrete have mere percentage of tensile strength as compared to compressive strength. These cracks are fought by embedded steel in suitable location and suitable proportion. We have provided ACI code provision for temperature and shrinkage reinforcement for concrete in our previous post.